Book a ferry to Oslo with AFerry. Ferries to Oslo, in Norway, are available from Denmark and Germany. You can take a ferry to Oslo from Copenhagen, Frederikshavn and Kiel. Ferries to and from Oslo are operated by Color Line, DFDS and Stena Line. Because 3 ferry companies operate in and out of Oslo, comparing can be very useful to help you find the best price at the best time for you. When you search for a ferry to Oslo, we will always show a range of times just in case it's cheaper earlier or later than the time you select. We'll also show you results for similar ports like Bergen, Kristiansand and Langesund to help you find the best times and prices to suit your plans. Oslo ferries with Color Line, DFDS and Stena Line are known for their comfort and high levels of service, and you will feel like your holiday has begun the moment you step on board. Travelling to Oslo will be easy and hassle free. Start by making your booking today, it's quick and easy. 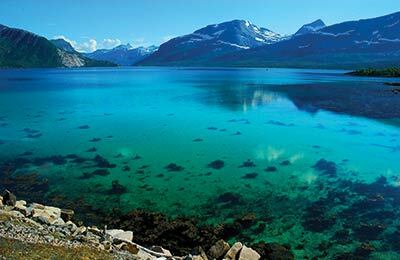 Oslo is the capital city of Norway and offers many sights and attractions for curious visitors. 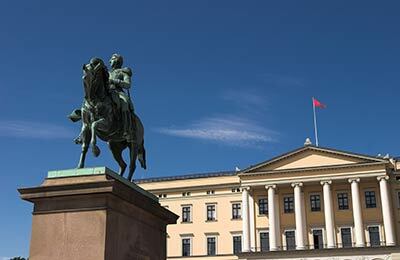 Oslo is one of Europe's oldest cities and was first built by the Vikings in around 1050 AD. Olso is popular with visitors and the city has plenty to offer such as the Norweigan Museum of Cultural History and the Viking Ship Museum. Book Oslo Ferries online with AFerry, where you will find useful information about booking Oslo Ferries, all the latest special offers, and see a list of the cheapest Oslo Ferry crossings. Ferries from Oslo go to Copenhagen, Frederikshavn and Kiel. There is a small coffee shop and waiting room at the terminal itself, with more extensive facilities a short walk away. The port is fully accessible to disabled people. When coming off the motorway, follow signs for the centre of Oslo until you begin to see signs pointing to the ferry port. The main train station is also a short distance from the port, and can be easily walked. What I don't understand is why the 2 cabins that I booked in February for the month of August were not only in the 6th and 9th decks but also one towards the front and the other the back. We couldn't have been further from each other. The personnel very kindly changed moved our cabins opposite each other.But both were just over the disco which luckily didn't blast all night long. I don't understand why we were so badly served by Aferry. Great trip. As a foot passenger I would have benefited from better and more detailed information on travel to the ferry terminals by bus at both ends. It would be great if DFDS make the public wifi available once again in the front desk floor (apart from the private, paid wifi). This was a bucket list trip for me and a family holiday. A cruise, without having to be stuck on a cruise liner. I've been visiting friends in Kiel for years and always said I would take the ferry to Oslo one day. And this was the one day.... The cruise and ferry were what I expected although I wish I'd booked a cabin with a window. Facilities were good and it helped that the weather was stunning so we could sit out on deck a lot. The one down side of cruises and cruising in general are the prices. Even travelling as a foot passenger costs a lot of money. I paid over four hundred pounds for three of us (one of whom is under 16) and OK, we get a cabin, but we are obliged to buy everything else. There aren't even any tea and coffee making facilities in the cabin as you would get in a hotel, so its impossible to save money in any way. We had an enjoyable experience, but spent way more than we wanted on the ferry just eating and so I probably wouldn't do it again.